Instrumentation Tools assists you a complete guide which mainly targets the aspirants of Electrical, Electronics and Instrumentation engineering Streams to crack the competition exams and prepare for the top MNC companies written tests. Here’s a definitive list of Programmable Logic Controller Quiz that will guarantee a sail-through to the next level as the questions been prepared in a strategic manner. In case you have attended any competitive exams or interviews recently, or have additional questions beyond what we covered, we encourage you to post them in our Instrumentation Forum to discuss about it further. Programmable Logic Controller Quiz, Programmable Logic Controller Objective Questions, Programmable Logic Controller Tests, PLC Quiz, PLC MCQ, PLC Test. We prepared the multiple choice questions on Programmable Logic Controller (PLC). This quiz section consists of total 120 questions. Each question carries 1 point. No negative points for wrong answers. You need to score at-least 50% to pass the quiz i.e. 60 Points. You can get the Quiz Answers after submitting all quiz questions. 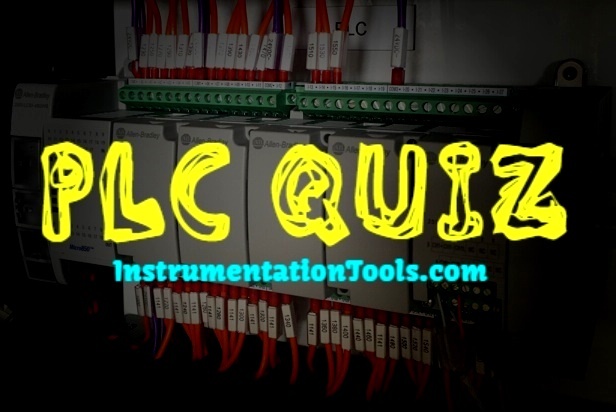 Click on below button to launch the PLC Quiz. Share your feedback on the PLC quiz using comments section. Excellent. Very useful Quiz to test our knowledge on PLC. Thank you so much.